ThermOptics was founded in March 1989, under the original name of Dawn Electronics, Inc. The company was established to design and manufacture high quality, temperature-controlled, subminiature electric components targeted at R. F. and microwave systems, as well as electronic instrumentation. With the recent significant increase in customer demand from the explosive filter optic component and sub-system industry, the company changed its name to reflect the focus and attention towards solving the unknown thermal effects experienced by the design and implementation of this industry’s products in optical communication system. The company has internally funded and developed over 20 products since its inception, and has developed a loyal customer base throughout the world. The management of ThermOptics has over 40 years experience in analog design, manufacturing, marketing and sales in the electronics industry. The company will continue to provide excellent technical support and service, on which its reputation has been built over the past decade, towards the explosive optical component industry. Optical products from tunable lasers, amplifiers, and attenuators, to optical cross-connect switches, are experiencing the thermal effects of high frequency transmissions imposed upon their products, and are seeking solutions to mitigate such effects and/or stabilize the performance and reliability of their components’ thermal surroundings. 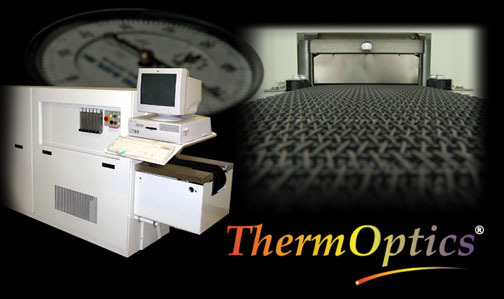 ThermOptics’ three lines of products (proportionally controlled heaters, thermoelectric cooler controllers, and optical power monitors) are implemented together or separately in such solutions designed to shape or move light in a highly reliable and controlled manner, allowing the suppliers’s optical products to meet their performance and reliability specifications.